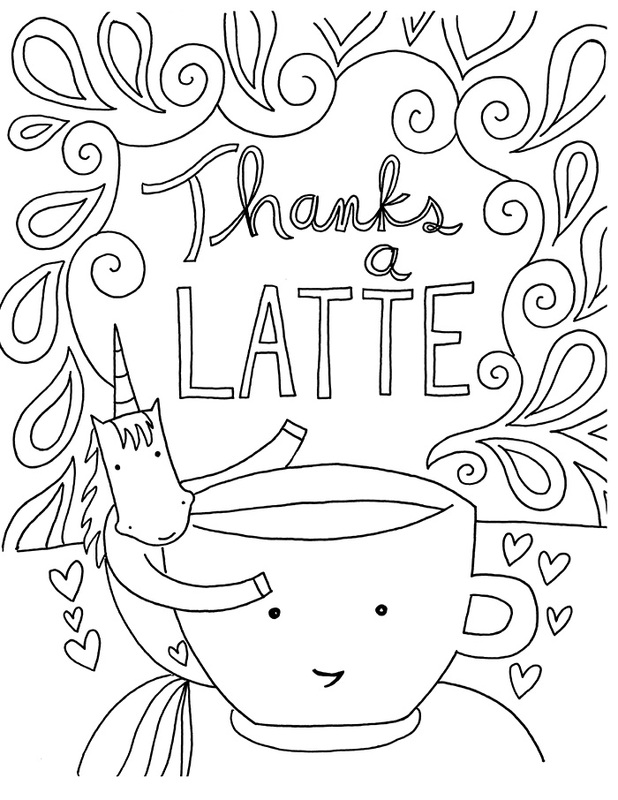 FREE Unicorn Coloring Book Page Download! In case you had forgotten, I recently released a new coloring book entitled Another Unicorn Coloring Book. It's a follow-up volume to my first one, cleverly entitled The Unicorn Coloring Book! Here, I'd like to share one of the pages from the new book as a FREE download, so that you can test it out! If you like this page, you can access so many more by purchasing the book! Available here. Two FREE Coloring Book Page Downloads! Heyyyy creative people! I have made two brand new and totally free-to-download coloring book pages for Craftsy.com. The images below are previews; you can click on them to go to the download! and then the next design is made for knitters! To review: get the cake-themed coloring book page HERE; get the knitting-themed coloring book page HERE. Surprise! I've released a new book. A coloring book. 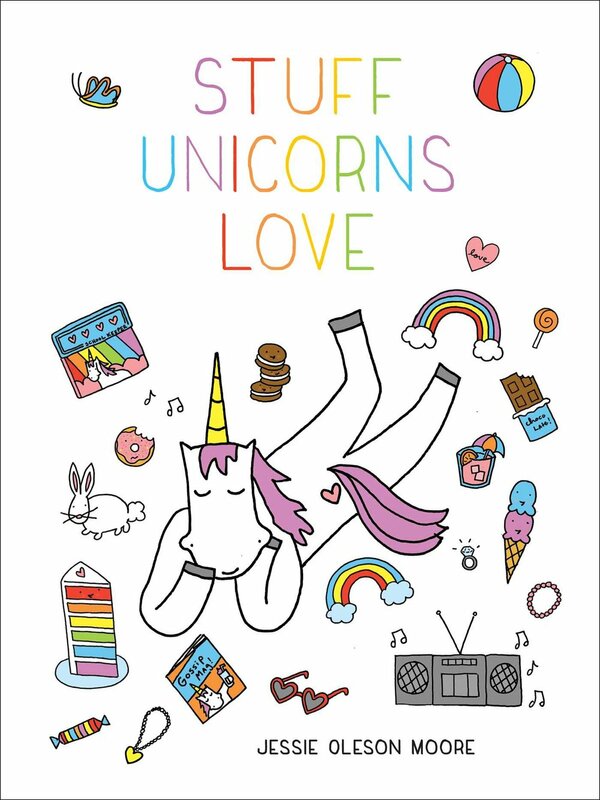 A *UNICORN* Coloring Book. Say hello to it: The Unicorn Coloring Book. I'm so proud of it. 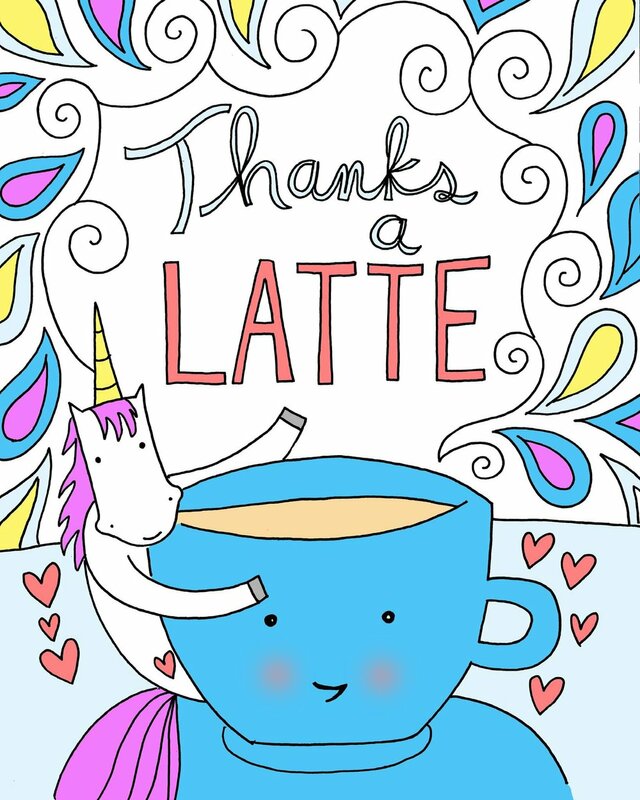 Inspired by the popularity of my coloring book pages, I've created a collection of completely unicorn-themed illustrations for you to color and enjoy. This book has 18+ involved illustrations to color, and is punctuated with inspiring quotes. While the book was designed for adult coloring addicts, guess what? Kids find it fun, too. As proof, here is my nephew coloring with gusto. He was not paid for his product development services, I promise. and another. See how funny and cute they are? They're really fun to color, too. You can order the book on Etsy; the books will be available to ship early next week. At this particular moment that is the only place to order, but in the coming weeks it will be available on Amazon, too. What is Pho? Find out. The absolute ultimate guide to food holidays. There's one (at least!) for every day of the year! Homemade Ding Dongs! Tastes like childhood. The best birthday cake recipe ever. EVER. Italian meringue buttercream. It is worth discovering. The best Boston cream donut recipe. It's so good! Baking with beer. A primer and ideas. How to make pop rocks candy at home. WHAT! The ultimate guide to how to cook artichokes. Believe it! 10 Vital tips for watercolor beginners. Keep this on file if you're considering taking up watercolor painting! Free download: February coloring book calendar page! Have a sweet month! How to draw pop art. POP! Coloring book pages! For kids or adults. It's the hottest and most fun mindfulness activity! Here's a free download so you can get in on this fun trend. To download, click on the image above or here. Download the "original size" option, and it should be perfectly sized to print out on your home printer! Hey hey! I have two new coloring pages available for download. Click on each of the images to be taken to the free dowload page! Download them for free, here. Free coloring book page, for all ages! To download, click the photo below, or click here. It will direct you to Flickr; click the "download original size" and that should be the perfect size to print (let me know if not!). OMG! I have done some more awesome coloring pages, and you can download them for free. The below image isn't high enough resolution, but if you click the picture or the link below, you'll be guided to the free download. Download both this and the other coloring book page featuring inspirational quotes here! Yay! A new, FREE, coloring book page! For kids and adults! If you click on the above photo and download the "Large" (1583 x 2048) size, it should come out printer page size! Let me know if you have problems and I can email you the file. Enjoy! P.S. 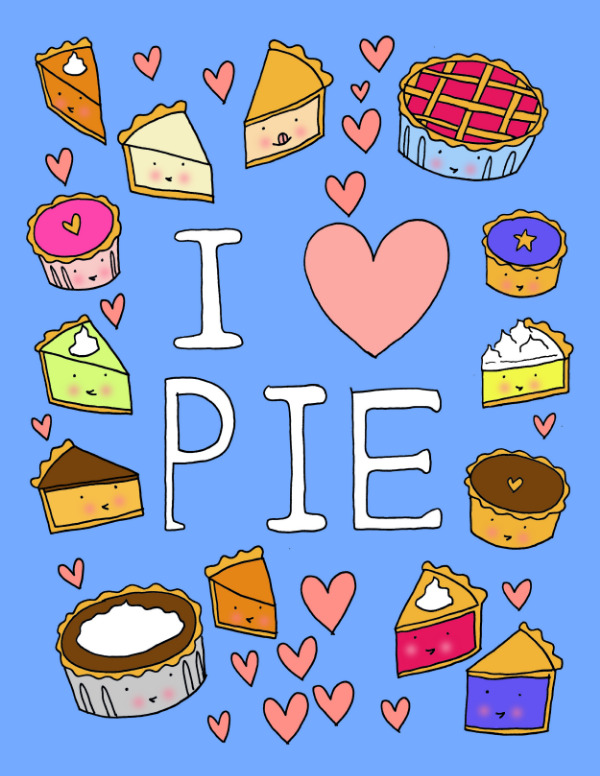 Be sure to download the companion I Love Cake page, too! If you click on the above photo and download the "Large" (1638 x 2048) size, it should come out printer page size! Coloring Book Pages for Grown-ups: Free Download! Have you heard? Coloring is the newest and hottest mindfulness activity for adults. And I want to assist your journey by providing free coloring book pages! The latest batch includes the below image and one more--both with a summer fun theme. Download the free coloring book pages here! 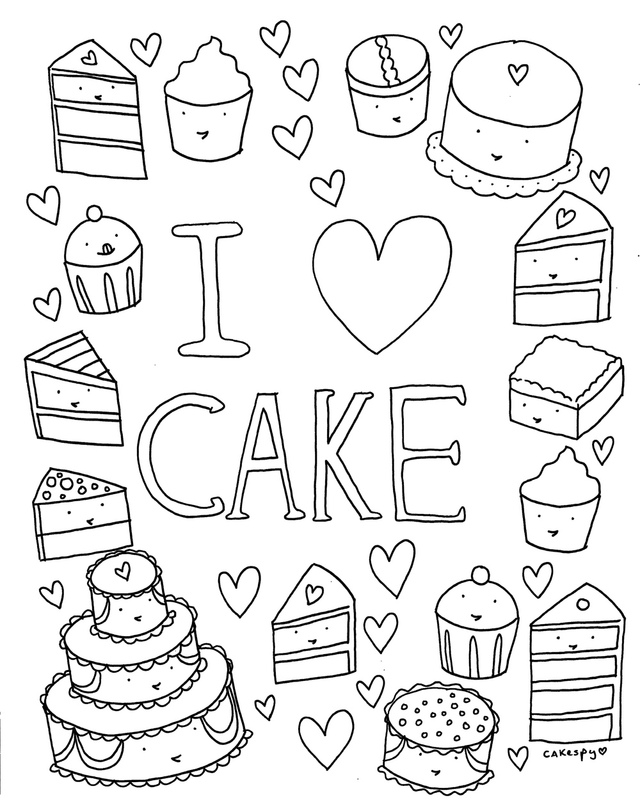 CakeSpy Coloring Book Pages For Adults! Why should kids have all the fun? These coloring pages are just for adults. Coloring book pages are the hottest new mindfulness activity for adults! Download the free coloring book pages here.